Describe specific aesthetic, environmental, and performance benefits and challenges of incorporating healthy, sustainable building materials and strategies into contemporary design projects. Discuss a number of innovative sustainable building strategies and programs used in the projects highlighted in this presentation. 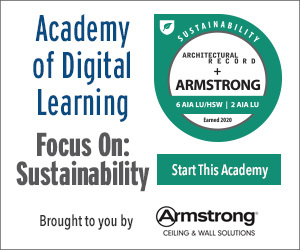 Provide details on the latest standards, certifications, regulations, and initiatives that are being employed in order for designers to meet sustainable building goals. Explain the basic focus of the overall design and construction process behind the highlighted projects. 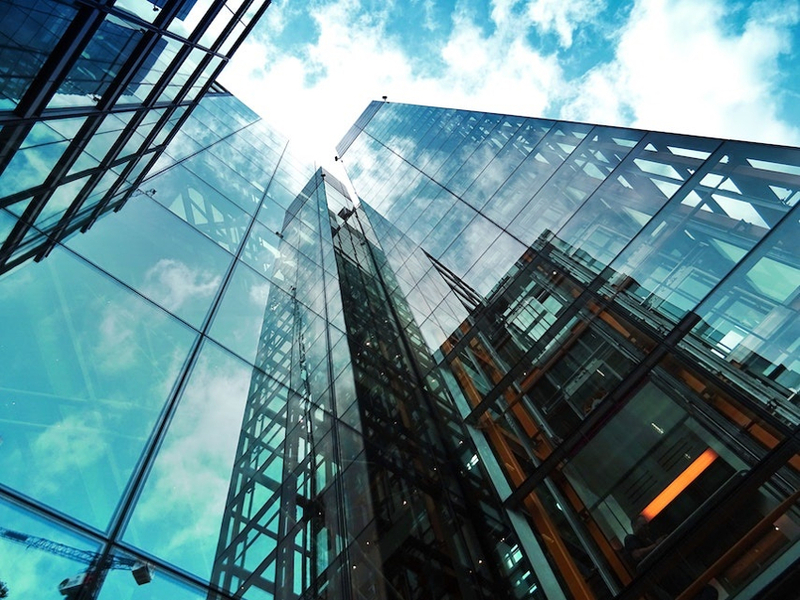 This webinar will explore sustainable building design practices with a specific focus on healthy materials, initiatives, and programs, and it will profile a number of unique projects that exemplify a range of aesthetic, environmental, and structural design goals. Presenters will share their deep knowledge of sustainable building practices, including a discussion on topics such as the basics of healthy materials, an overview of regulatory bodies and the latest standards, overcoming the challenges of cost issues and/or regulatory barriers, and highlighting specialized approaches to materials through case study discussions. Janna Wandzilak, WELL Faculty, LEED AP BD+C, is director of Delos Solutions, a world leader in providing standards and solutions for interior environments that can enhance the health, well-being, and productivity of occupants. She will speak about the new Delos headquarters located in New York City, which is a showcase of health and sustainability in buildings, is WELL Platinum and Living Building Challenge Petal certified, and is pursuing LEED v4 Platinum certification. Mary Dickinson, senior associate and regional sustainable design leader for Perkins & Will, is an expert on designing for well-being as well as the implementation of design innovations that allow dynamic projects and their occupants to perform to their greatest potential while improving the built environment impacts on human and environmental health. Her presentation will examine sustainable design features of a recent Perkins + Will project. Jeff Frost is a project manager and healthy materials specialist for Brightworks Sustainability, a company whose mission is to help its clients establish and implement sustainability programs that significantly increase their operational performance while reducing their environmental footprints. Among the topics he will present on is the framework and criteria being used by firms to evaluate products in order to meet sustainable design goals. Cost: What tradeoffs, if any, are required to achieve design excellence using healthy, sustainable materials, products, and practices. In the featured projects, did using sustainable, healthy materials add costs that needed to be recouped in other areas of the project, or did it actually reduce overall costs? Regulatory barriers: Were there any regulatory or other legal barriers that the project needed to overcome? If so, what strategies did the design team use to overcome them? Drivers: Did the owner request a sustainable building, or did you, as the architects, propose it? If the latter, what led you to suggest using specific healthy materials towards the end goal? Mary Dickinson, LEED AP BD+C, is regional sustainable design leader for the Texas practice of Perkins+Will and a member of the firm’s Sustainable Design Council. She has worked to assure that sustainable ideas are an integral part of the firm’s projects and practices. Her knowledge has been applied on a variety of project types, including hospitals, cancer centers, K–12 schools, higher education, civic, and corporate, among others. At the forefront of the latest sustainable technologies and trends, and lending from more than 25 projects of experience in the design of healthy, high-performance buildings, Mary works to bring a comprehensive approach when leading the integration of sustainable goals on any project team. Jeff Frost has assumed responsibility for projects within Facebook’s Global Data Center program and Salesforce.com’s Global Workplace program, among others. He is one of Brightworks’ Living Future Accredited professionals and specialists in healthy and sustainable materials. Frost served as an integrated design specialist at SERA Architects and a sustainability project manager at SmithGroupJJR in Phoenix. At SmithGroupJJR, he developed the SmithGroupJJR Sustainability Performance Workbook, managed SmithGroupJJR’s partnership with GreenWizard, and established SmithGroupJJR’s corporate HPD policy and HPD education program. As a director and materials specialist at Delos, Janna Wandzilak, WELL Faculty, LEED AP BD+C, consults with clients who are transforming indoor environments for people. Her role involves working with clients to help them learn about healthy design, operations, and policies. She also recently project managed the Delos HQ, which is WELL Platinum certified, LBC Petal certified, and pursuing LEED v4 certification. Janna is WELL Faculty, a LEED AP, and a Living Building Challenge Ambassador. Armstrong Commercial Ceiling and Wall Solutions is the global leader in acoustical ceilings and wall systems with the broadest portfolio of standard and custom metal and wood options available, including clouds, canopies, baffles, and blades. www.armstrongceilings.com/commercial.